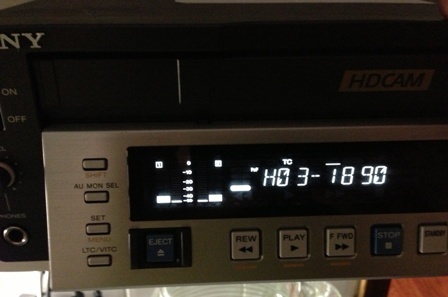 The Sony J-H3 is a compact video player for HDCAM high definition recorded video tapes. This unit is a playback only model. The deck can play-back just about any HD interlaced and progressive scan format recording including 24, 25 and 30 frame. 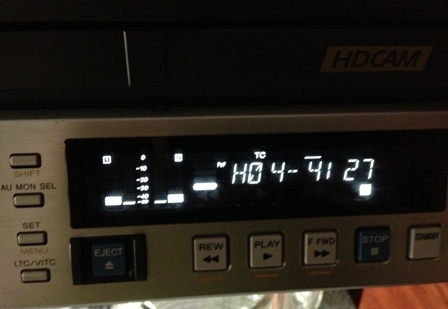 In fact, this model can be used with Cine Alta 24/720p HDCAM recorded elements. Another deck in this series, the J-H1 covers all those progressive and interlaced capture formats except the 24-frame format. The deck has both analog and digital outputs and circuitry for down conversion to standard definition including DVCAM. Sony Cine Alta System Compatible There are multiple HDCAM video formats in use today and the J-H3 plays back almost every one of them. The featured advantage of this particular machine is that it can be used as a player for tapes recorded on the HDCAM Cine Alta cameras. 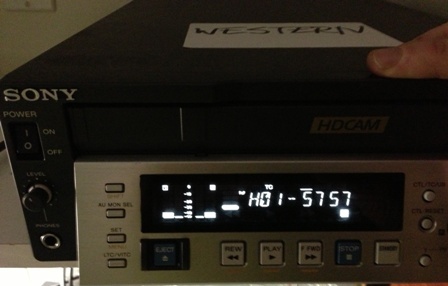 It was designed to play 24-frame 720p video, arguably the highest quality and most film-like format. 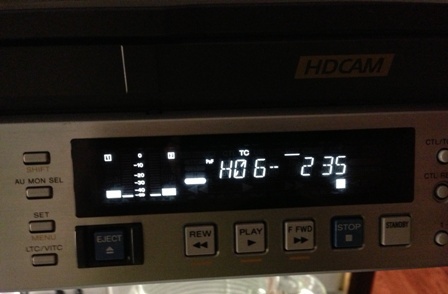 The other HD systems include 59.94i (60i), 50i, 25p and 29.97p (30p). Analog and Digital Outputs The J-H3 comes equipped with a digital single BNC connector for both high definition and standard definition SDI output. AES-EBU digital audio is inbedded in the HD signal. A 3-BNC connection outputs both analog HD and standard component video. 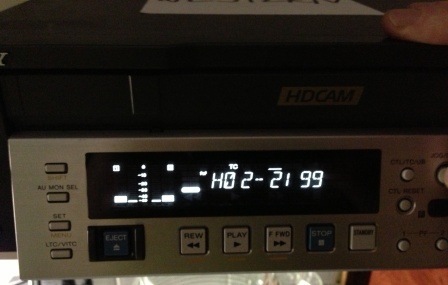 Additionally the deck down-converts high definition video signals to NTSC or PAL system video. Tape Logging Software via RS-232C The J-H3 playback machine can be an efficient pre-edit logging machine when coupled with JZ-1 software on a PC (and capture card) that has RS-232C control. The log data including in and out points can be recorded along with simple comments regarding the scene. A story-board feature is present in the software package to assemble a sequence of logged scenes into a basic EDL for edit data export. .